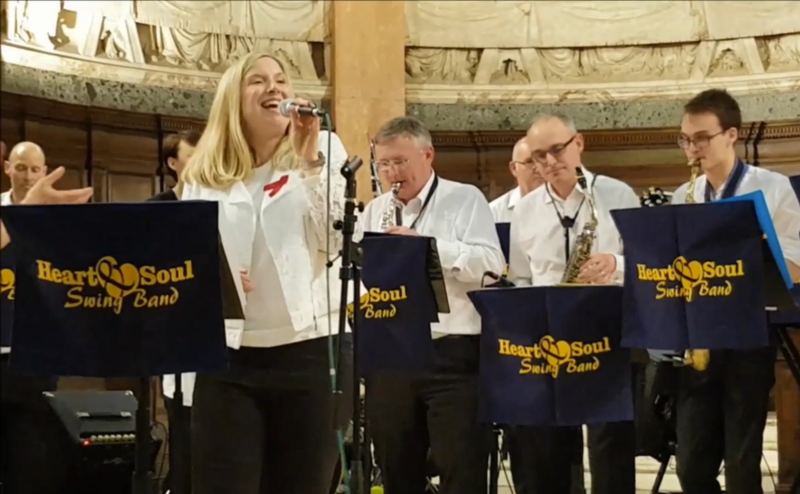 The Church of Scotland has recruited a former secondary school head teacher to become its first ever Hub Ministries co-ordinator. Rev Catriona Hood will help members of A’Chleit, Clachan, Gigha, Kilberry, Skipness and Tarbert churches in Argyll to be even more directly involved in mission and pastoral support work. The 51-year-old, who was ordained as an Auxiliary Minister in 2006, said she felt “very privileged” to have been chosen for the “exciting” new role, which she formally took up on Saturday. 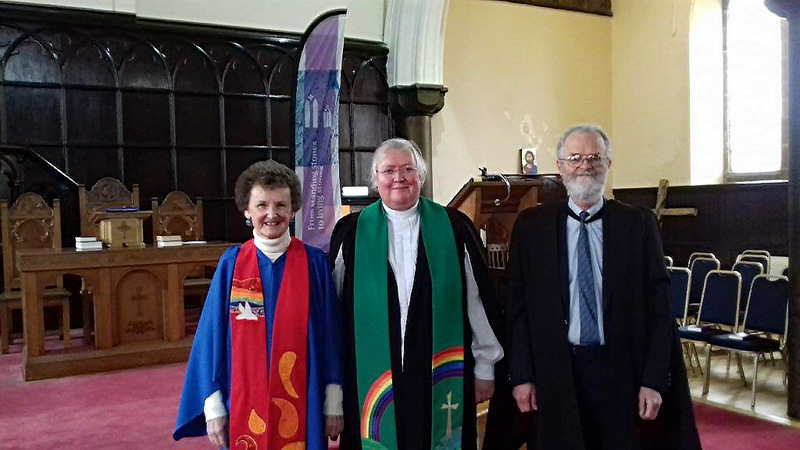 L-R Marilyn Shedden, business convener of the Presbytery of Argyll, Rev Catriona Hood and Dr Chris Brett, Clerk to the Presbytery of Argyll. Ms Hood, who is based in Tarbert, Loch Fyne, is largely assisting churches without full-time ministers and will encourage the development of lay worship teams who will take services. She will support Readers, whose duties are principally concerned with the ministry of the word and the conduct of public worship, and take on the burden of administration duties when required. Ms Hood, a minister’s daughter, stood down as the head of Campbeltown Grammar School in Argyll to take up the innovative role. 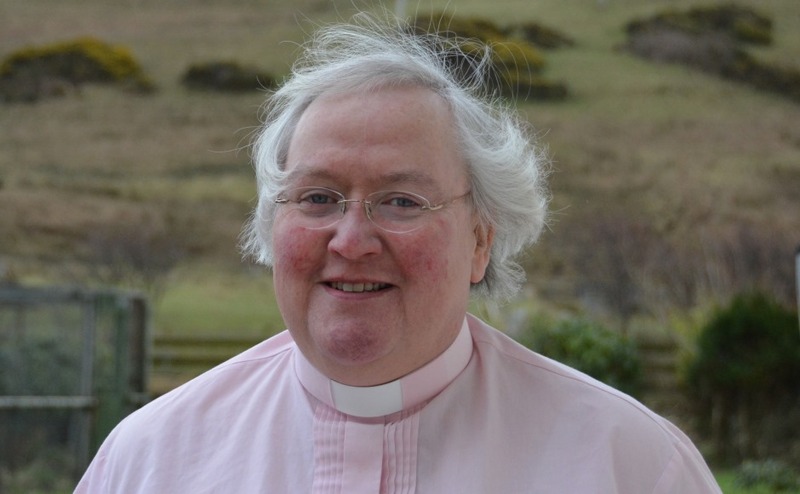 The former teacher, who was also head of Tarbert Academy, she said: “I feel very privileged to have this opportunity which has arisen from the Presbytery of Argyll’s innovative approach to ministry. “I am very fortunate in that I have existing friendships with the Hub communities, having been Interim Moderator in the parishes at the south of the Hub for many years. “The response from the congregations and communities has been warm and welcoming and I appreciate this very much. Ms Hood grew up in Campbeltown and is a graduate of Aberdeen University. She has taught English and Religious Education at Invergordon Academy, Plockton High School and Lochgilphead High School. A Service of Introduction was held for Ms Hood, who will carry out the paid role for 12 months initially, in Tarbert, Loch Fyne, on Saturday. But for the last month she has been at the forefront of supporting the local community following the sinking of the trawler, TT100 Nancy Glen, in the sea loch. Ms Hood, along with Free Church minister, Rev Robert MacLeod, and Matthew Ramsay of the Fishermen's Mission, led a quayside service 10 days ago which was attended by around 500 people. She has been campaigning to ensure that the bodies of two missing fishermen, Duncan MacDougall and Przemek Krawczyk, are removed from the wreckage and brought home to their families. Dr Chris Brett, Clerk to the Presbytery of Argyll, said: “We are delighted to welcome Rev Catriona Hood to this new post. “It is the first of a new style of ministry which will bring Ministers, Readers, Elders and other trained lay people to work together to serve the Church and the community across a wide area of Argyll. “Catriona is already well-known in the area as a former head teacher, Auxiliary Minister and Interim Moderator, and has recently been very active in supporting the people of Tarbert following the Nancy Glen tragedy. “We look forward to an exciting new phase in the life of the Church in Argyll." Mrs Alison Hay has been appointed as Hub Ministries coordinator for North and East Argyll. Rev Neil Glover, convener of the Ministries Council of the Church of Scotland, said he was “excited” that the Argyll initiative is now live. “Catriona and Alison will work with Reader, local worship teams and parish ministers,” he added. “Churches will go on, and hopefully thrive, against a background of declining numbers of ministers. “And congregations will continue to be places where folk have a sense of one another’s lives; where, in worship, they hear words and poetry that remind them that God is in this place. The Ministries Council is also exploring the advantages of Hub Ministry with the Abernethy, Caithness, Angus and Dundee Presbyteries. Church leaders within the Presbyteries of Greenock and Paisley, Buchan, Moray, Perth and the Leith area of Edinburgh have also expressed interest in the model.